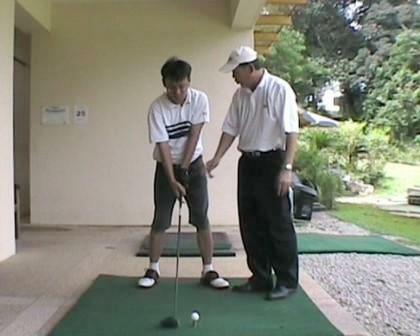 This programme is targeted at golfers with playing experiences. This golfer may be of less than a year practicing intensively on the range and been to the golf courses but yet could not hit the balls as consistently as it should be. Golfers at this level are looking for a coach for swing technique improvement for their tee-shot and all shots performances to the green. 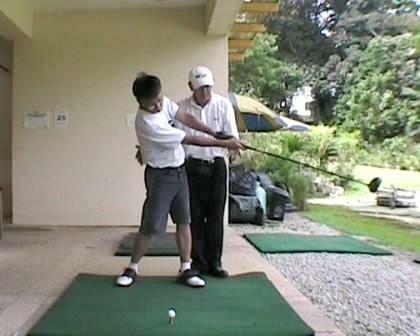 At Asian Golf Centre we will assist this golfer by examining the the swing ability and characteristics. We will talk to these golfers and explain the correct and incorrect swing move that this golfer employs. Learning and understanding what is an efficient golf swing. Together with the golfer we will revise the all-important of an efficient swing, bio-mechanics for the swing action, an in-depth knowledge of the posture setup for the irons, woods, driver and the relative ball positions. The necessity and objectives of the pre-routine swing execution. 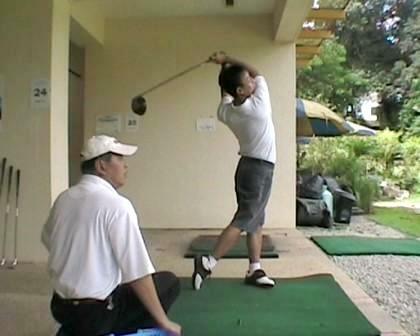 We will teach, explain and demonstrate how to hit balls solidly within the current athletic ability. Golfers will learn the importance of Neuro-linguistics programming (NLP™), golf sport sciences principles and golf psychology knowledge to enhance their golf swing competency and game knowledge. You will be given the patience, passion, technique and comprehension not only to see your real physical potential but fulfilling the perseverance and courage to be a competitive golfer. 1. Our assessment of your golf swing technique and ball flight shot performances. 4. Your observation of efficient golf swing. This programme is design for golfers with playing experiences looking for a coach to enrich the golf technique consistency for better golf shots performance A golfer who needs an effective and efficient coach to help them diligently in refining their golf swing technique for game improvement solutions; ultimately lowering their current playing score. 1. 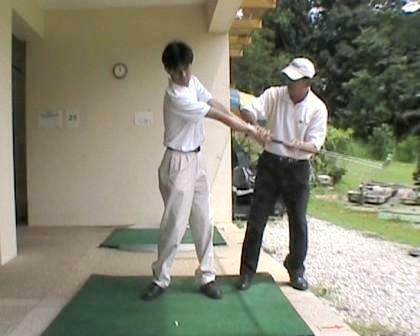 Practice diligently to see your self-actualization of an effective golf swing technique. 3. Monitor your improvement and take notes of your shots performance outcomes: Physically and psychologically. technique under our professional teaching guidance, supervision, assistance, motivation and feedback. 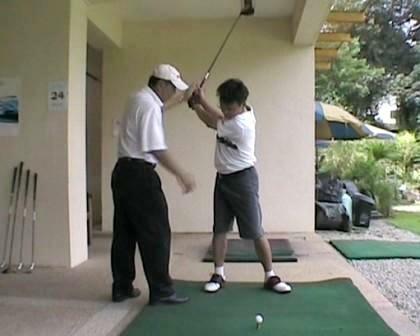 The 4 hours Golf Game Intensive Training Lessons are only for golfers who completed the above golf swing lessons and had practiced diligently. The learning outcome of training on the golf course is to enhance your golf shot performances, playing with a correct game plan and strategy for all shot-making resulting your game improvement with a lower score. 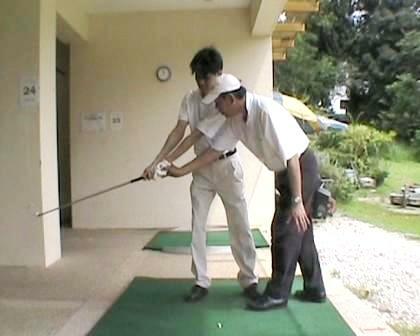 The coach will assist you on the golf course to apply your learnt golf swing technique, rules and etiquettes of golf. 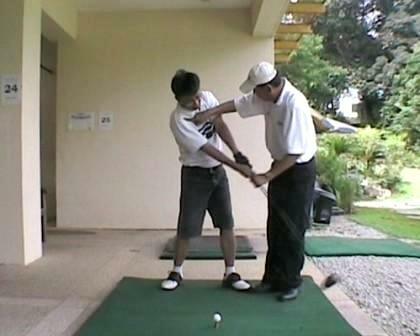 The Intermediate 6 lessons Golf Swing Technique Enrichment Programme. PLUS a *optional 4 hours Intensive golf game training lessons. 2 golf lessons per session. Each lesson is 45 minutes. Lessons are by appointment only. $600.00 per training programme for one-to-one personal coaching on weekends and weekdays.